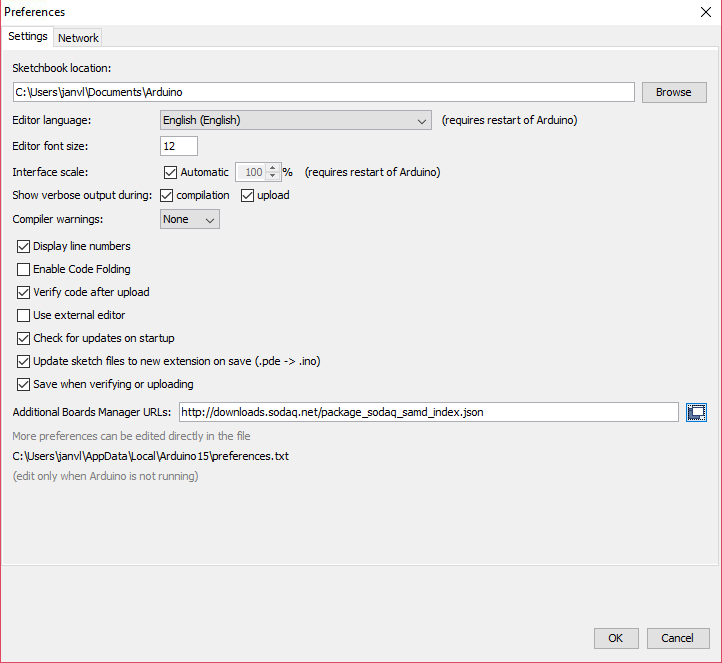 You will need to use Adruino IDE version 1.6.7 from the hourly builds link (November 20th ->). The Autonomo’s board profile is available through the Arduino Boards Manager. Next open the Board Manger via Tools->Board->Board Manger. 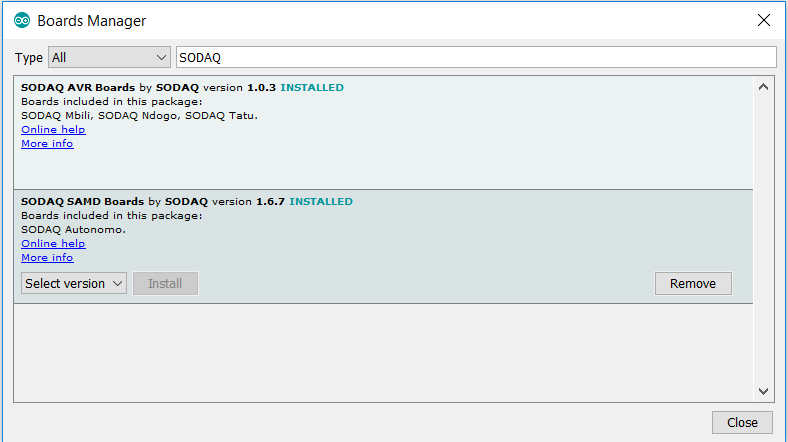 You can then search for and install the SODAQ boards.